Essilor Vision Foundation (EVF), in partnership with DELFINGEN Foundation, mounted recently its second eye care initiative in Cavite. Committed to bringing healthy vision to Filipinos nationwide, EVF conducted a series of free eye check-ups for more than 300 DELFINGEN employees and their families led by over 30 volunteers from Thailand, Singapore and the Philippines. Those who needed corrective lenses were provided with prescription glasses. “Healthy eyesight is not just a basic human right; it also has a considerable impact on one’s work productivity. Studies prove that workers who suffer from uncorrected vision are 34% less productive. 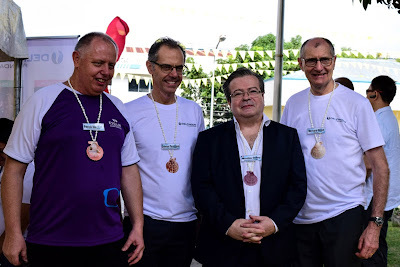 But research also shows, a simple pair of glasses can considerably improve one’s overall quality of life,” said Essilor Vision Foundation (EVF) ASEAN coordinator Germaine Lye. “This is why the foundation is and will remain committed to collaborating with like-minded partners like DELFINGEN Foundation to address uncorrected refractive error in the Philippines and around the world.” The first eye care initiative of Essilor Vision Foundation and DELFINGEN was held in Cebu in 2017. EVF’s eye care initiative aims not only to provide vision care to the Filipino population but also to create greater awareness of adequate eye care and the importance of regular eye checkups.